Presidential election years are unique, and this election year is shaping up to be like no other. 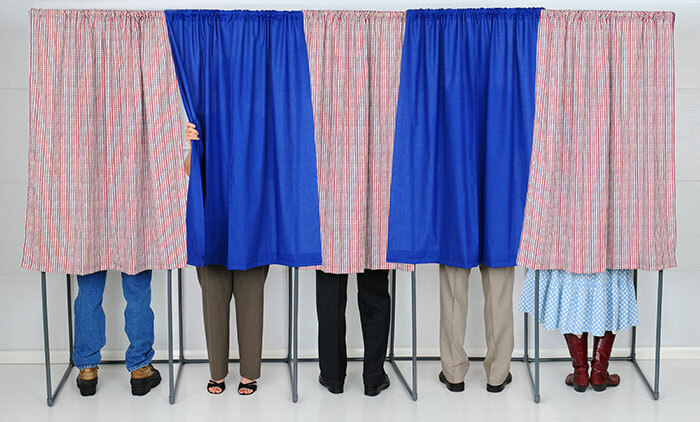 The impact of elections on markets and investor portfolios can be significant. Here we take a historical look at how markets have behaved during these cycles. Editor’s note: The Republican National Convention held in Cleveland is now in the history books, and Donald Trump has become the GOP’s official presidential nominee—with a fair amount of convention controversy, but less than many had anticipated. As this article is published, the Democratic National Convention is concluding in Philadelphia, and Hillary Clinton has been officially confirmed as the party’s nominee. 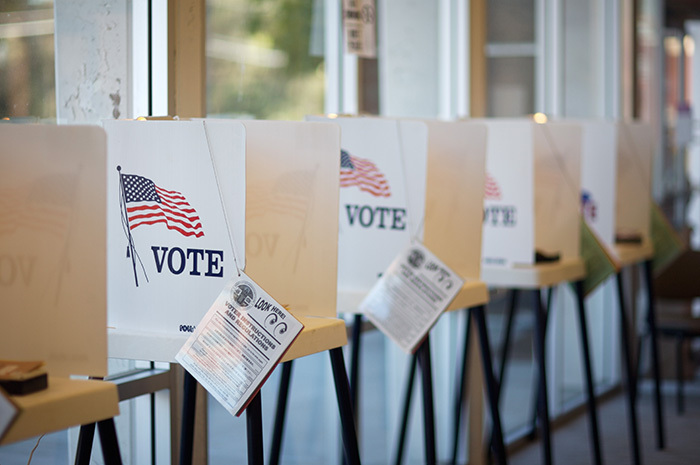 The following article by Guggenheim Investments, written before both conventions, provides a very interesting analysis of what investors may expect moving forward in the context of presidential elections and the markets. Since the beginning of traded securities markets and politics, there has been debate about the interaction between the two. In the late 1960s, the debate coalesced into the first of many mathematical theories that attempted to assign cause and effect to the patterns of market movements during various years of presidential terms. One of the first formal proposals was the “presidential election cycle theory” developed by Yale Hirsch, which suggests that the third year of a presidential “cycle” is the best-performing year for markets. Since then, studies have proliferated, and it is not clear if there is an actual full cycle trend, or if there is a real difference between Democratic or Republican administrations. We take a narrower slice of time, just the election year itself, and look at market performance recently. We also share some ideas on prospects for different sectors in the future under a presidency by either of the likely nominees (Hillary Clinton and Donald Trump). The markets have been volatile so far in 2016, and we entered the seasonally weak period for equities in May. In late July, the party nominating conventions will take place, and then the actual presidential race will begin. Between now and the end of the year, Congress will do little except for political positioning. Positioning and “message” legislation can add uncertainty to markets, as outlandish proposals by both parties garner headlines and even preliminary votes, but with no chance of actual passage. Within the actual election year, we see a trend that seems to reflect an uncertainty premium before the election and an improvement in trend after the election, especially if the economy is not in a recession. The table is set for a lot of noise, but not a lot of real action—a recipe for continued uncertainty. In the following chart, we trace the path of the S&P 500 on a weekly basis for each presidential election year back to 1988. The line at 45 weeks is approximately when the presidential election occurs. An interesting outlier is 2000, which was the year George W. Bush was first elected president. His election was contested, and there was no certainty until a Supreme Court decision on December 12—the 50th week of the year. While large-cap stocks have performed well, in general, in the last weeks following the election, so have small-cap stocks. Finally, following the election, small-cap stocks tend to outperform large-cap stocks. Given the higher beta of small-cap stocks, it is not surprising that they should outperform in an environment where the direction of the trend has changed to a positive one. We found that the first year after the election, “Year 1” of the new political cycle, has generated higher average and median returns—both for large- and small-cap stocks (see the following chart). PRICE APPRECIATION BY YEAR OF ELECTION CYCLE—LARGE- AND SMALL-CAP INDEXES. The Trump sector allocation: positive for consumer discretionary, energy, industrials, information technology (IT), materials, and telecom services; negative for consumer staples and health care; and neutral for financial services and utilities. The Clinton sector allocation: positive for industrials, IT, materials, and utilities; negative for consumer discretionary, energy, and telecom services; and neutral for consumer staples, financials, and health care. The sectors that could benefit regardless: industrials, IT, and materials. Barring a total Trump disaster, the House should stay in Republicans’ hands given their 29-seat majority and lack of competitive/swing seats. The Senate is essentially a jump ball, with the winner of the White House likely to bring the Senate along for the ride. The Senate is currently GOP-controlled 54–46, though 24 of the 34 seats up this cycle are Republican-controlled, and seven of them are in states Obama won twice. The GOP is only really playing offense in Nevada and is unlikely to lose both Illinois and Wisconsin. The key Senate races are in the Electoral College states (New Hampshire, Ohio, Pennsylvania, Missouri, North Carolina, Florida), which means whoever wins the White House will likely win by winning those states. As far as we can discern, Trump has only two pronounced policy “red lines”: (1) building a wall on the southern border (bullish for materials sector), and (2) tariffs on China-made products (bearish for consumer staples via the dislocation of the global supply chain). Outside of this, Trump has maximum policy flexibility. From a market standpoint, we would expect sentiment around a GOP presidential win to be positive and led by the energy sector given regulatory shift and legislation on development (increased drilling) and pipeline siting (direction from pro-energy GOP Congress versus a Trump Administration that is an open question on energy policy). With a Republican White House win, GOP control of Congress is highly likely, which means the ability to pass tax reform and “Obamacare” reform/repeal through the reconciliation process. For health-care investors in the GOP sweep scenario, the main question is if they will really repeal and replace—an outcome that is unclear and would completely upend the sector. Telecom and cable would likely welcome GOP control by removing various forms of broadband regulation imposed by the Democratic Federal Communications Commission. Franchises and restaurants would also likely welcome a GOP sweep, as the Joint Employer Rule could be reversed. Mergers and acquisitions would increase with more market-friendly regulators at the Department of Justice and Federal Trade Commission. With a Clinton presidency, we would expect investors to be wary of measures on prescription-drug control, though note that there would still be a policy “put” with the House in GOP hands. We suspect that immigration reform and an infrastructure plan would be central to Clinton’s first 100 days, which would be positive for materials and IT. Editor’s note: This article includes minor editorial changes of the original Guggenheim white paper. The original article can be found here: https://www.guggenheiminvestments.com/investing-in-election-year-markets.